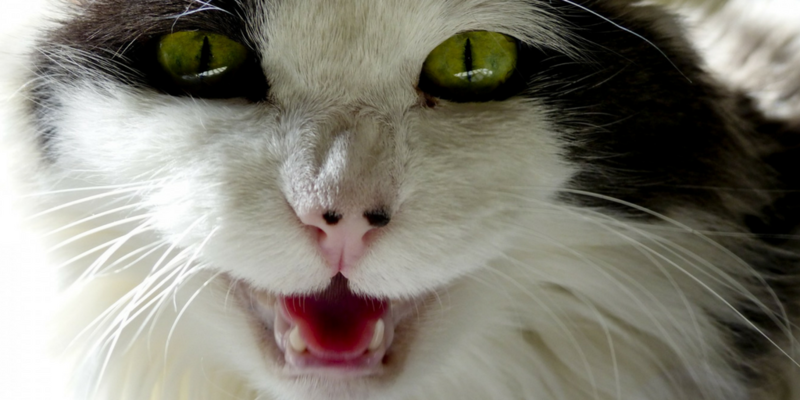 Periodontal disease is the Number 1 enemy of pet dental care. 80% of all dogs and cats suffer from this pathology. It’s an infectious disease caused by accumulated bacterial plaque that causes inflammation of the gums, tartar and tooth loss. Both bacteria and their toxins can enter the bloodstream and affect vital organs like lungs, heart, kidneys and liver, putting your pet’s life at stake. Bad breath – it’s one of the most evident signs that your pet’s health is at stake. It’s a sign that infection has set it and it really bothers others due to the foul smell. Presence of tartar – tartar is bacterial plaque that has been calcified by saliva. It turns the surface of teeth rugged which then makes plaque deposition easier, turning into a vicious circle. It’s important that you know that sheer quantity of tartar doesn’t determine the severity of the disease. Take action as soon as you detect a problem. With these basic notions, you are able to observe your pet’s oral cavity and check for any signs of alarm. In case you notice any of these symptoms, contact your veterinarian so that your pet initiates proper treatment as soon as possible. Use the Petable app to remind you of routine checkups or followups that your pet may need. This way you’ll never forget. Use chewable dental bars as a complement to brushing or as a substitute when brushing is difficult.